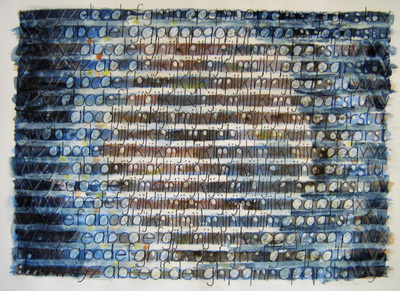 The Alphabet Series explores the interplay of regularity and variation, of rigidity and softness. 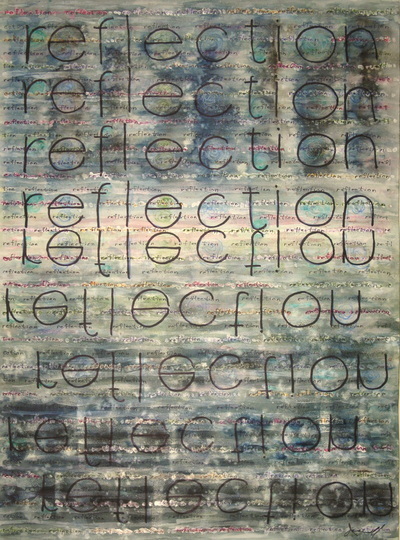 The paintings are based on two visual aspects of language, the fixed horizontal lines in which script is written and the varied shapes of the letters themselves. 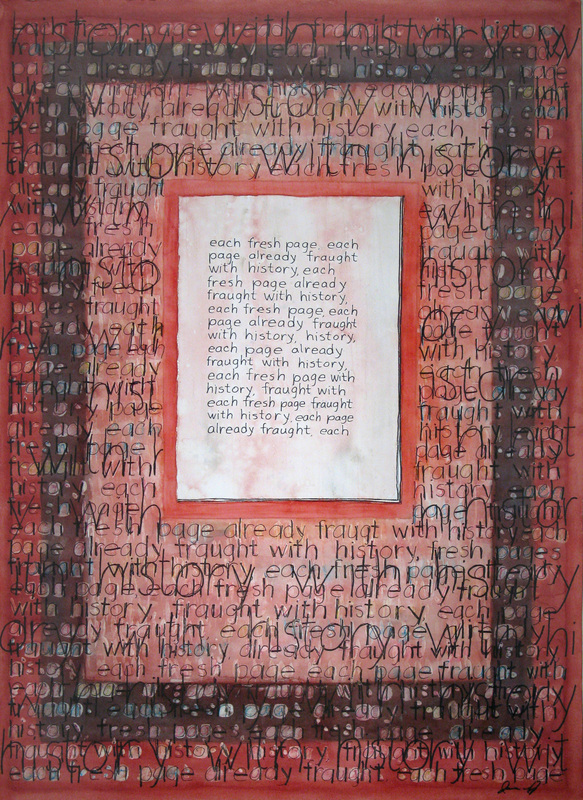 This duality is a metaphor for our daily life. 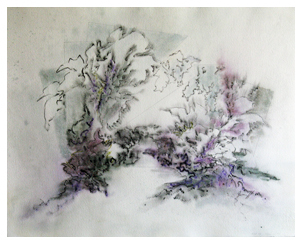 In the fixed framework of streets and buildings we inhabit, we ourselves are organic and fluid. 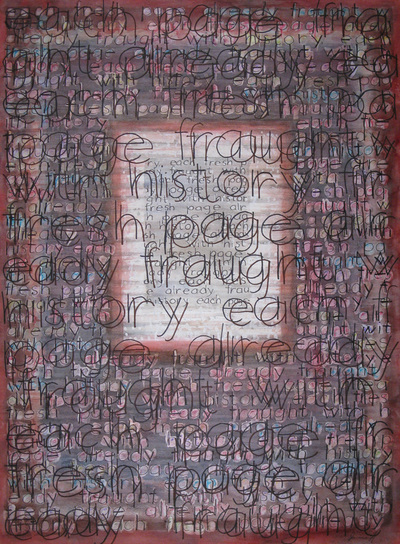 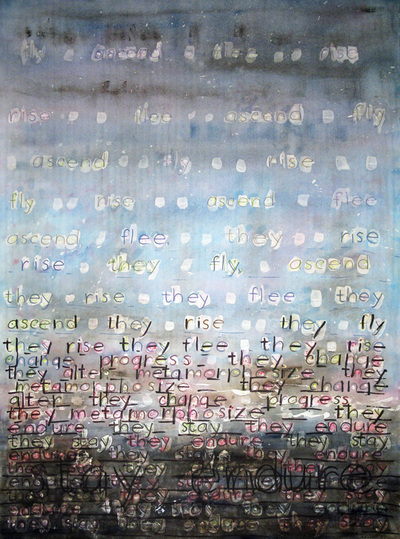 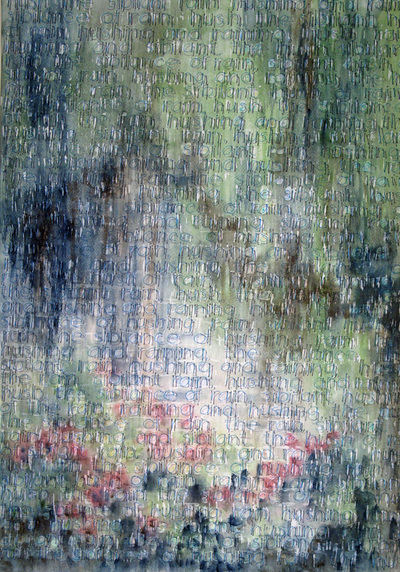 Each painting starts with a phrase, written by the artist, which is hand-printed as a texture across the page to form an integral part of the image. 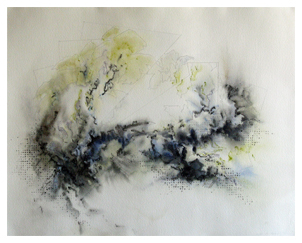 In a sense each piece, in its making and its viewing, is a meditation on a phrase. 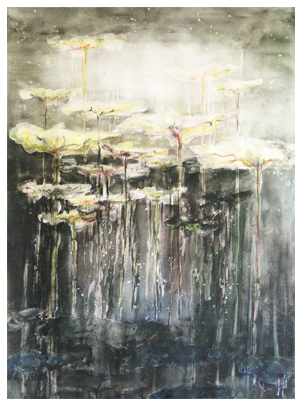 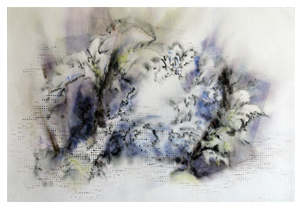 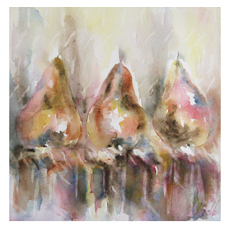 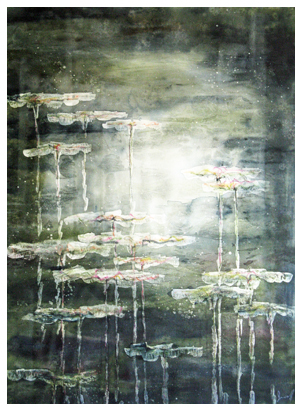 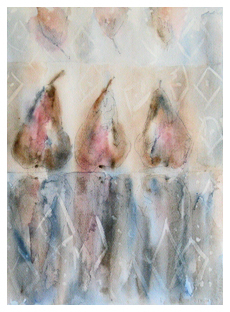 Materials include watercolour, acrylic medium, and permanent markers applied in several layers on watercolour paper. 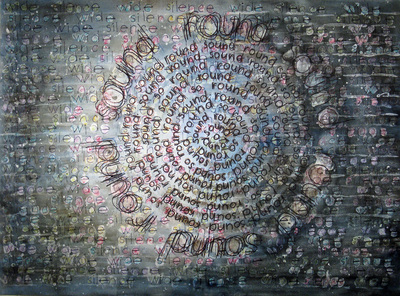 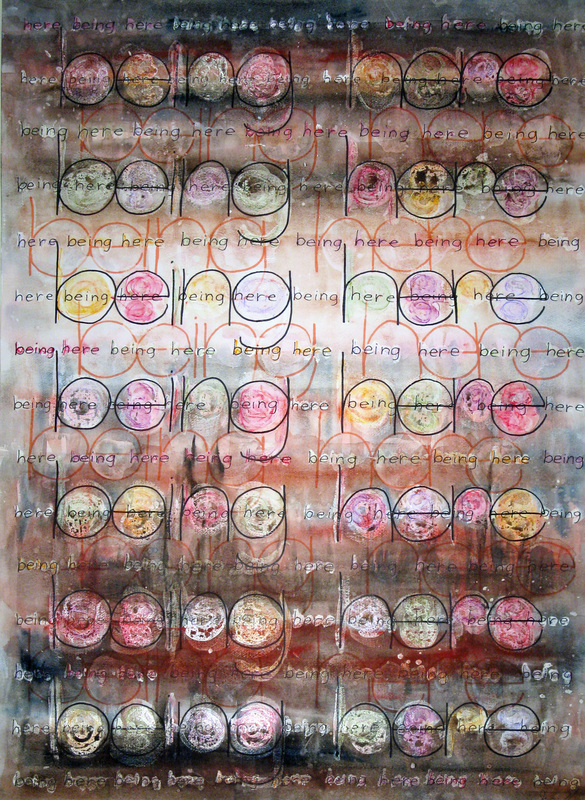 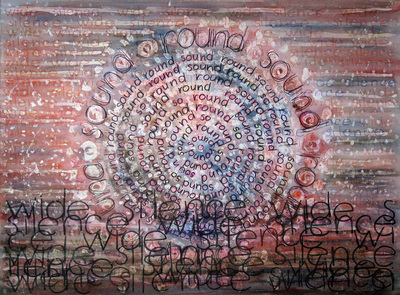 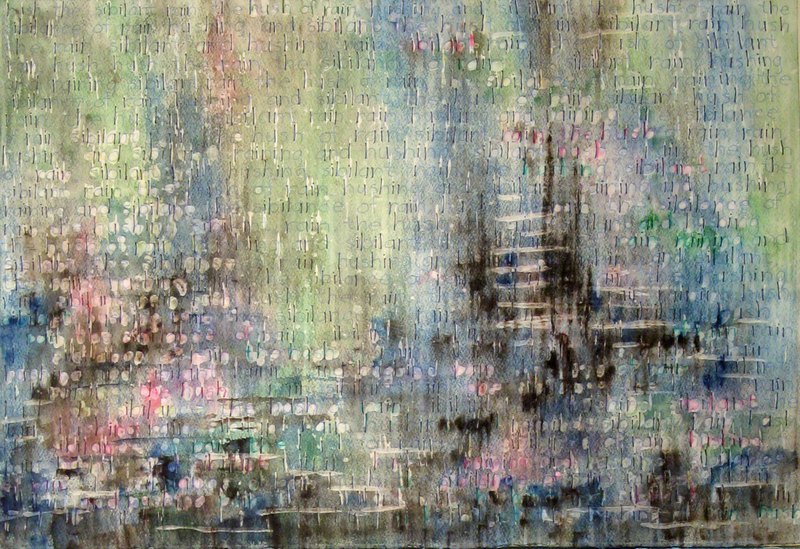 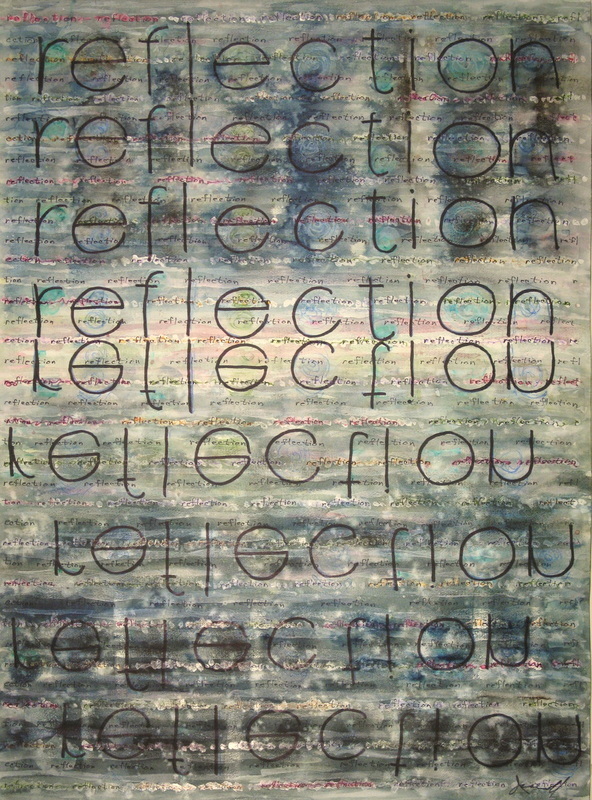 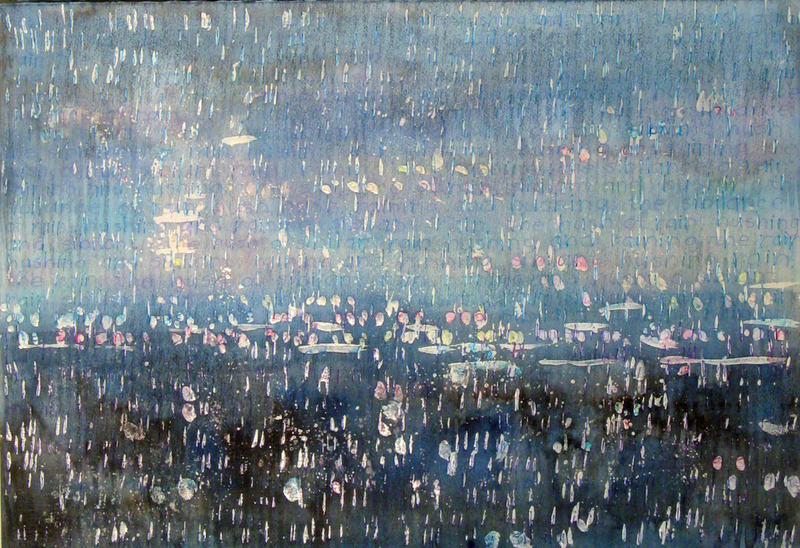 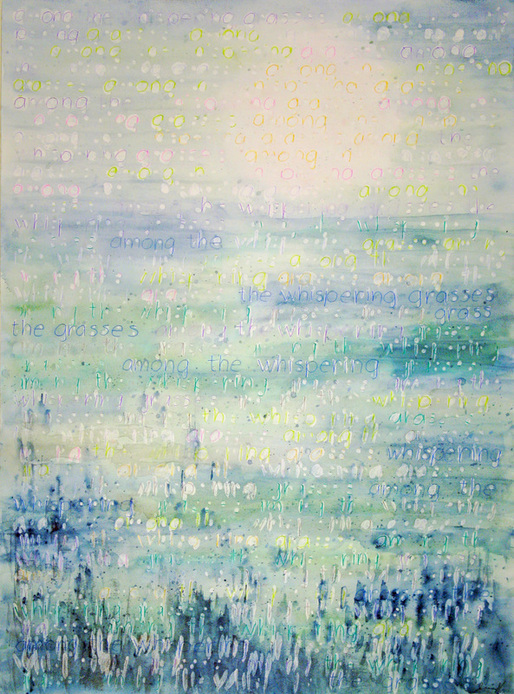 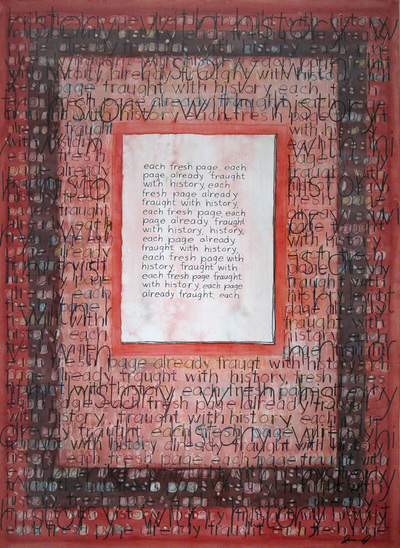 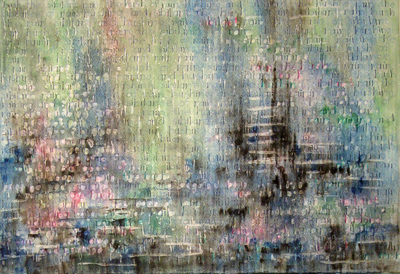 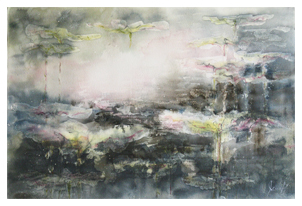 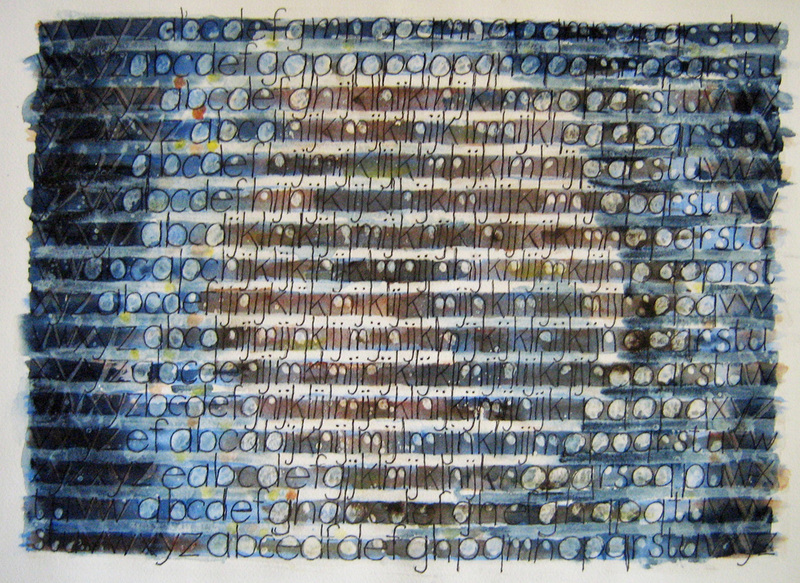 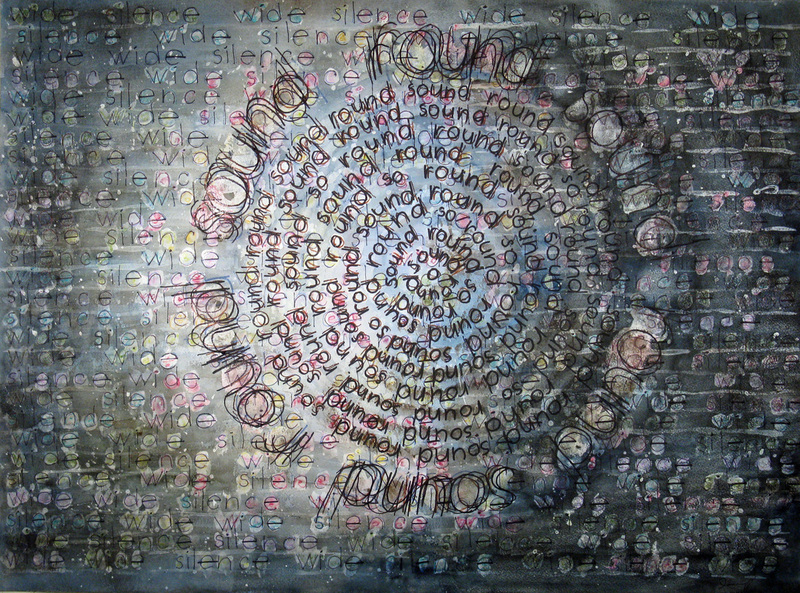 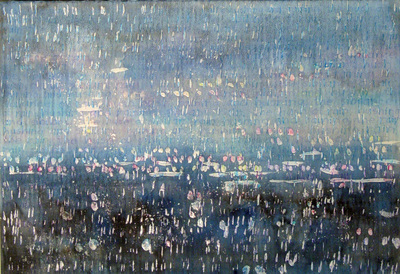 Marvyne's solo show, Wide Silence, Round Sound: Lyrical Watermedia Paintings Based on Text (2010, Great Hall, The Arts & Letters Club of Toronto) included, among others, these pieces from the Alphabet Series. 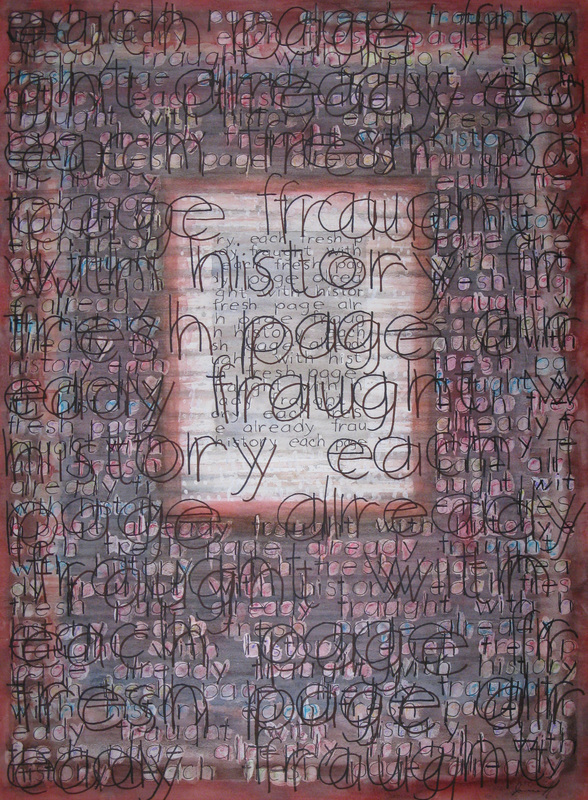 Click on thumbnail for complete image and details.